Looking to buy yourself furry merchandise, but unsure of what to buy? Fear not! There are at least three furry subscription box services on the internet for you to choose from. Boxsona, Fur Delivery, and Furry Mystery Box are all ready to deliver furry merchandise direct to your door. If you haven't heard of a subscription box service before, it's a recurring (sometimes monthly) delivery of niche products. More well-known examples include Loot Crate (nerdy products) and BarkBox (products for dogs). It's like someone took the idea of loot boxes from the gaming world and put them in real life. You might wonder why someone would consider making blind purchases of real-world items like this. Typically, well-run organizations that sell items this way can buy products in bulk and distribute them in such a way that their subscribers get them for less than if they bought them individually. However, as with most things, the subscriber might not necessarily judge the value of the items in terms of their retail cost. So while you may acquire fifty dollars' worth of product for thirty dollars, it's also very possible to acquire items you would find no value in, or find to be junk. The first one created appears to be Boxsona, with their earliest box in September 2016. They have their own domain boxsona.ca. Boxsona was based in Nova Scotia, Canada, but moved to Alberta, Canada in mid-2017, and is run by Awkward Bear. Their website has images and details of the five previous mailings (2016 September to 2017 September), including various links for most of the artists. Starting with the 2nd box (2016 November box) each box contains one page of the serialized comic Ty-Dai Cutie Pie by Lorne Colt. In addition to pre-ordering a Boxsona box, furries can also pre-order a more affordable Boxsona envelope ($19.99 USD +tax for envelope; compared to $42.99 USA + tax for box). Envelopes contain exclusive art and "flat" furry items. Boxsona's next box (Warm & Cozy Edition) has been delayed by an issue with a manufacturer and Awkward Bear getting promoted to manager at his day job. Other issues such as a staff member leaving the team in October 2017, and Awkward Bear's emergency surgery later in October have probably contributed to the delay. For those who don't like to order items sight-unseen, Boxsona also has a more traditional online shop at The Furry Life Store (hosted by Shopify) with items from previous Boxsona boxes. Unfortunately though, a very recent update to the website indicates that the shop is down temporarily saying "We'll be Back Soon"
The second boxy business out of the gate is Fur Delivery with their earliest box being in November 2017. They don't have their own domain, but their website is hosted by Wix. It's based in Texas, and is owned and operated by Tymid. Their website has some images and details (including artist names) of the two previous mailings (November and December 2017), but no artist links, and in some cases it's not obvious who did what piece of art. It's unclear to me how many boxes they've shipped since then, because their tweets are confusing about what content is in which month's box. For example, is the reindeer mug in the December box or in the January box? Standard box for $25, which includes goodies and a t-shirt. Deluxe box for $40, with all the goodies of the standard box, plus an extra few special surprises. Their twitter name is currently "Fur Delivery--REBOOTING", which shows that like Boxsona, this company is finding challenges getting boxes out on a regular basis and wants to get back on track. A recent tweet thread indicates that after the March 2018 box went out, the April one was refunded due to quality and issues with product acquisition. In the meantime, there's the website shop which sells "remaining limited edition stickers, buttons, magnets, and more". The newest kit on the block appears to be Furry Mystery Box with their earliest box mailed out just this year in March. They have their own domain, FurryMysteryBox.com. They're based in Cincinnati, Ohio. It's unclear on their web pages who organizes their material, however one of their tweets shows a bearded guy with a stack of their boxes. Boxes are mailed quarterly (once every three months). Their website has no details on previous boxes. Furry mystery t-shirt subscription for $15, every three months. Furry mystery box for $25, every three months; includes the t-shirt and extra items. The subscription cut-off date for FMB's next box (box 3) is September 2, 2018. I looked into one of those at some point but, for me, it didn't really look worth it. I guess it would be kinda fun but it would certainly need to wait until they had developed a proper reputation. It sounds like they are not too reliable or well-established at present. Thanks to Sonious for the edits, additions and adding the cube-of-mystery image (and a better article title). Regarding Fur Delivery's reindeer mug, admittedly if you go to their website you can figure out the mug was in the December box, but the point I was trying to make was that I found some of their tweets confusing. Dronon added the cube in this case, he went over it a bit after I had done the first round of cleanups. Um, it's fine with me? I didn't even notice. Technically Sonious did most of the legwork on this one, I just stepped in at the end with some small adjustments. I'm surprised at Fur Delivery's reaction to one of their artists claiming that their boxes are "better than anyone else's". It's out of context, but you'd think that most of the time taking the view that your product is the best in the market would be a good thing. Honestly none of the providers covered provide much confidence. FMB just started and has a barebones site, FD is on hiatus, and Boxsona hasn't put out a box in almost a year - although if they did, they'd be the ones I'd go with given their comprehensive breakdown and credits. Perhaps what might work better is if some company dedicated to making such boxes for various markets took an interest in the furry vertical. Hey there, first off thank you so much for taking the time to take a look at us, what we do, and sharing that with folks. I can actually answer a bit of information about one of these company's. I'm The Tak, one of the owners of the company Ringtail Cafe Producitons. 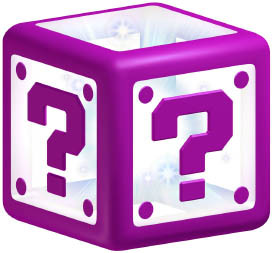 RTC is the company that created Furry Mystery box, and we are the team behind it! We've been heavily involved in the fandom for years, and are also the people who created the convention Fur Reality, of which I was con-chair for the first 5 years. FR is well known for its over the top levels of con-swag. Over our time in the fandom we have created comics, books, toys, shirts, lanyards, board games, card games, keychains, and tons of other merchandise both for our publishing company and for both our own convention, and a lot of other conventions in the fandom (IFC, F2, MCFC, AO, just to name a few.) We wanted to bring that experience and expertise in creating merch together and create a fun new project, which led us to making Furry Mystery box. We were definitely a bit slow in getting some more personal info up and on the site and have striven to correct that recently. We didn't realize people would be curious about the team behind it, but we're happy to share. The three most primary members of the team are TheTak (me! ), Salmagundi and ZeeBee, all of whom have years of experience with these endeavors. We also work with a slew of other artists, writers and content creators to generate the contents of the box. There are video links, and photos of past boxes up and on the site now for future people to take a look at. Once again, thank you for taking the time to give FMB a shout out! from Vancouver, Canada, interested in furry and activism etc.